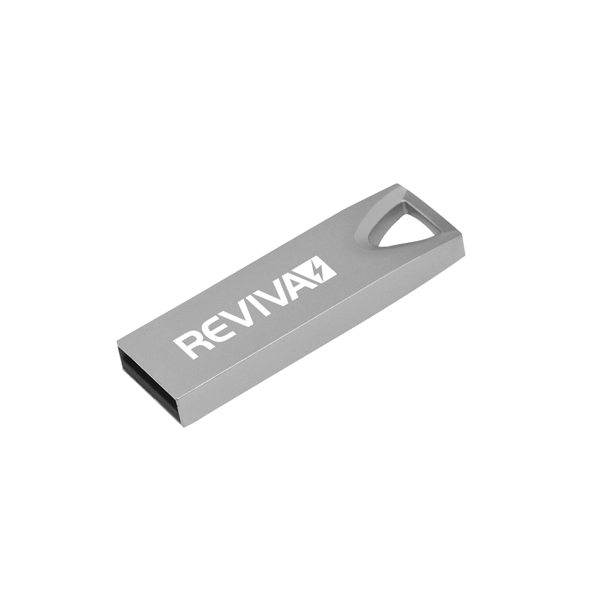 The Reviva USB 2.0 Silver Flash Drive features a 8GB capacity for backing up, storing or sharing files. The flash drive can be can be attached directly to a keyring or lanyard for added portability. Simply plug into your computer to begin transferring files with this sleek silver flash drive.